Call to withdraw decision to reduce public holidays - Integration Through Media ....! 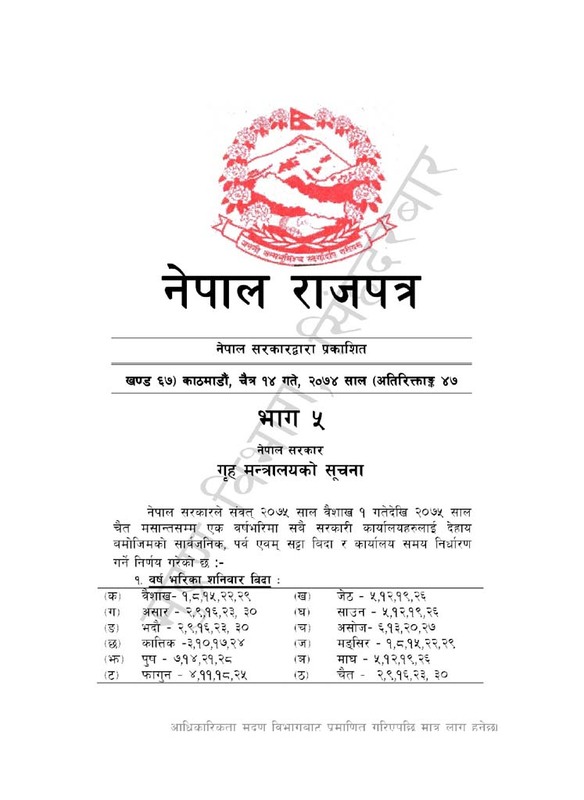 BAGLUNG: Nepal Federation of Indigenous Nationalities (NEFIN),District Coordination Council, Baglung has demanded the government withdraw its recent decision to downsize the number of public holidays from the coming Nepali New Year- 2075 BS. Nepal Magar Association, Baglung chair, Ganesh Thapa Magar, sought respects to sentiments of indigenous and ethnic communities. He was of the view that people’s culture and history could not be forgotten in the name of prosperity.